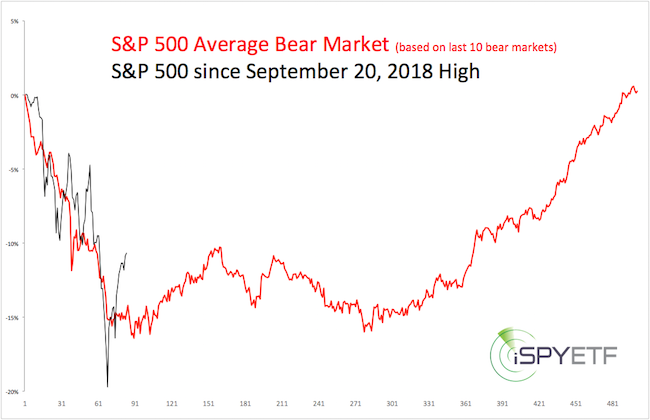 ﻿ Is the ‘Bear Market’ Already Over? 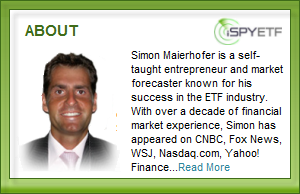 The financial media declared that stocks entered a bear market on December 24. 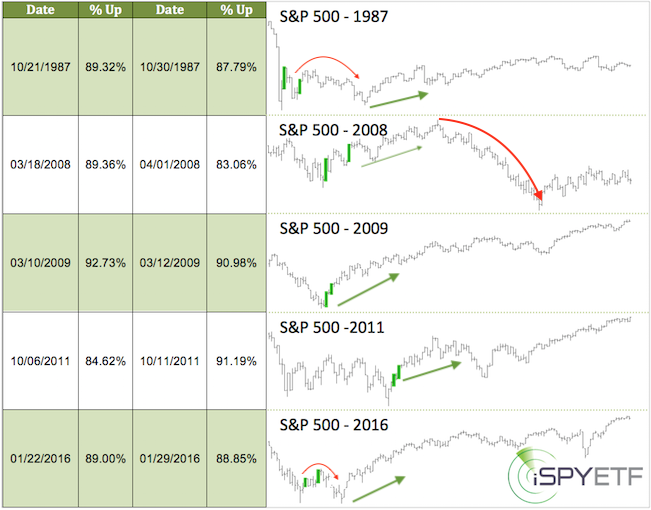 Since then, the S&P 500 has rallied 11.3%. 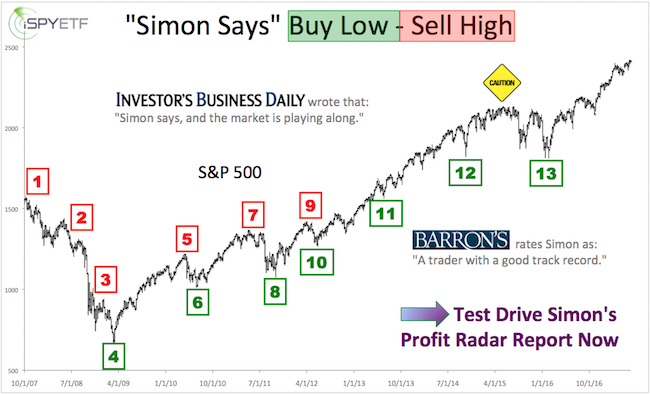 The Profit Radar Report warned that many bear markets end as soon as they begin. Does this mean the bear market is already over? 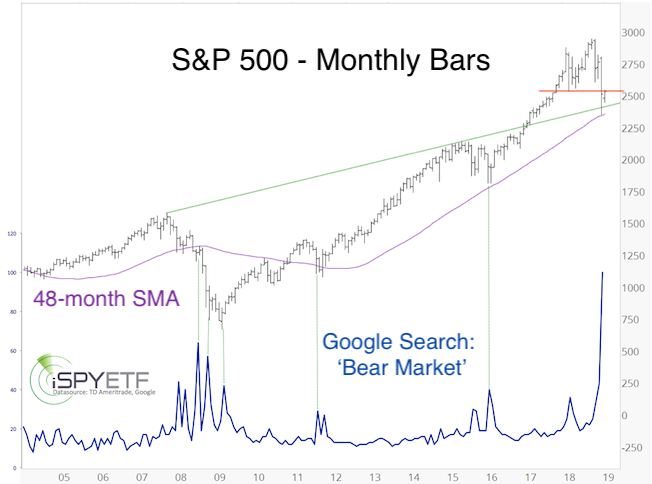 As the chart below shows, Google searches for 'bear market' also soared to an all-time high. That's what happened. 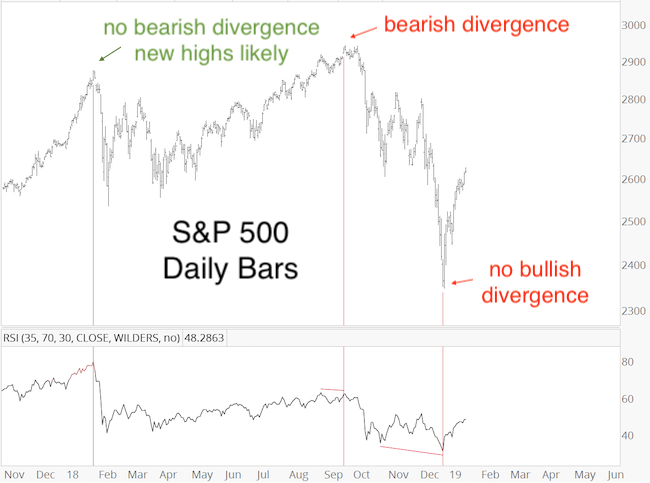 But, there was a bearish divergence at the September 2018 high, which means new highs are no longer guaranteed. 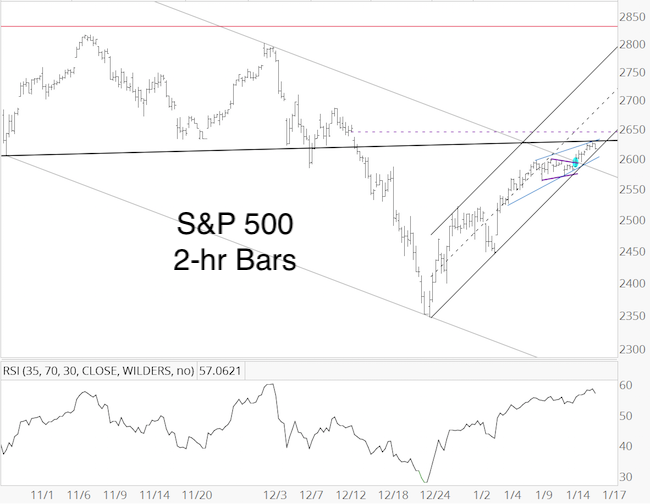 The S&P reached the black trend channel, which has been my up side target. 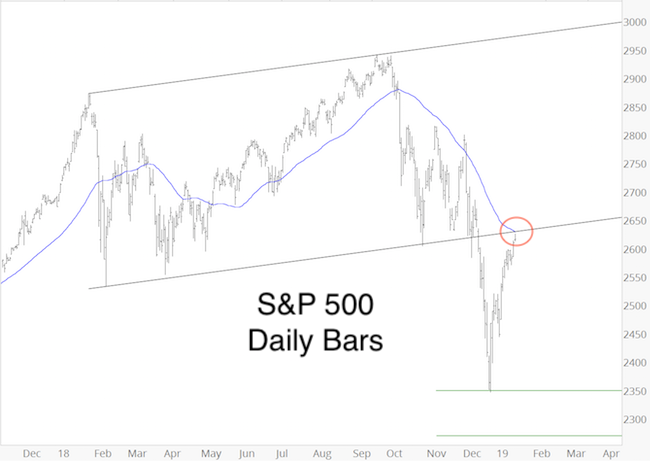 The channel has acted as support/resistance numerous times over the past year, and may do so again. A re-test of previously broken support has ‘last kiss good bye' potential.